North Denver neighborhood organizations and the Sierra Club filed a lawsuit in federal court today to stop Colorado DOT’s I-70 boondoggle, which will increase traffic and create more air pollution for generations to come if it’s built. The communities around the highway are exposed to elevated levels of particulate pollution, which leads to higher rates of chronic cardiovascular diseases. Widening the highway by four lanes will only make the problem worse, but Governor John Hickenlooper is letting his DOT move forward with the project. 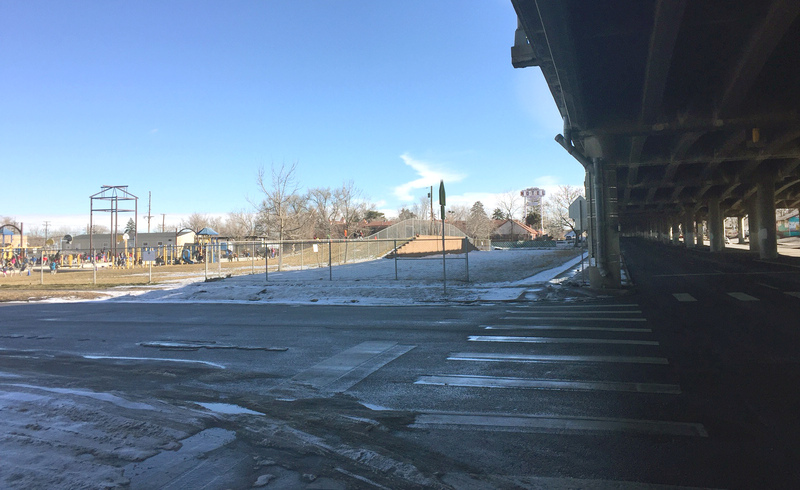 Governor Hickenlooper has let his DOT proceed with a project that will make air quality for north Denver neighborhoods worse for generations. To receive federal funding, Colorado DOT determined that adding four travel lanes would not violate national air quality standards. Those findings were based on newer EPA guidelines — “issued with no public notice last November” — that advocates say are too lenient [PDF]. Under the EPA’s previous guidelines, CDOT’s claims wouldn’t fly, according to the lawsuit, which names the EPA as the defendant. Denver Environmental Health reported in 2014 that residents in the north Denver neighborhoods adjacent to I-70 experience a 70% greater rate of mortality from heart disease than other neighborhoods in Denver not affected by highway pollution, and 40% greater frequency of urgent care for children suffering from severe asthma compared to other parts of Denver. CDOT’s analysis of air quality after the proposed expansion of I-70 shows a further degradation of air quality. This will exacerbate these health impacts, especially on seniors and children in the primarily minority and low-income communities of Globeville, Elyria and Swansea. Hickenlooper and Mayor Michael Hancock could stop this project in its tracks, but instead they’ve been complicit. The coalition called for them, as well as Senator Michael Bennet, Senator Cory Gardner, and Congresswoman Diana Degette to re-route the interstate traffic away from dense, urban neighborhoods. Citizens for a Greater Denver, the Elyria and Swansea Neighborhood Coalition, and the Cross Community Coalition joined the Sierra Club in the suit, filed in the U.S. Court of Appeals for the District of Columbia Circuit.